It’s been a year since Wildlife Wednesday debuted as a regular garden blogging meme and we’re celebrating this Wednesday, July 1 with another installment of wild things in the garden. 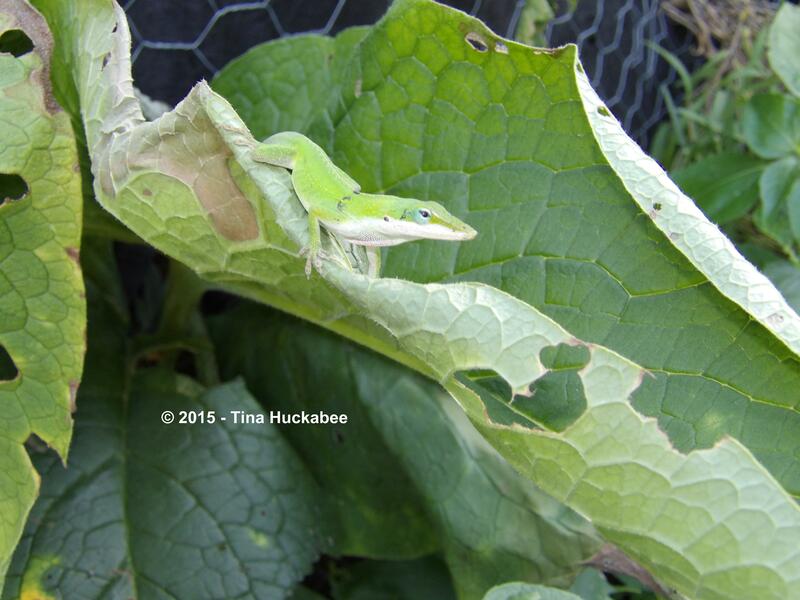 The anoles are ready to party and check out what might be available for noshing. As they make their way to the event, please get your camera and stories ready to wow wildlife gardeners everywhere with sightings, identifications, and musings about the importance of biodiversity and the living garden! Wildlife Wednesday. July 1. Hope you can make it!! This entry was posted in Wildlife Wednesday and tagged Biodiversity, Wildlife, Wildlife Gardening by Tina. Bookmark the permalink. Hi Tina, I am still making the rounds to the bloggers who left comments on my GBBD post. I enjoyed reading your posts up to your bloom day one. Yes, it is fun to see what plants we have in common, and the ones we don’t. 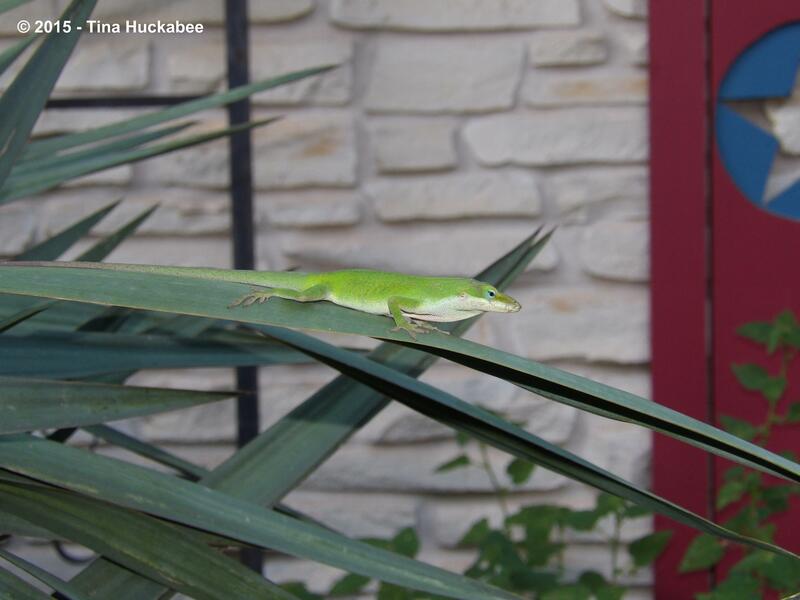 How cool to have anoles! Thanks, Sue! 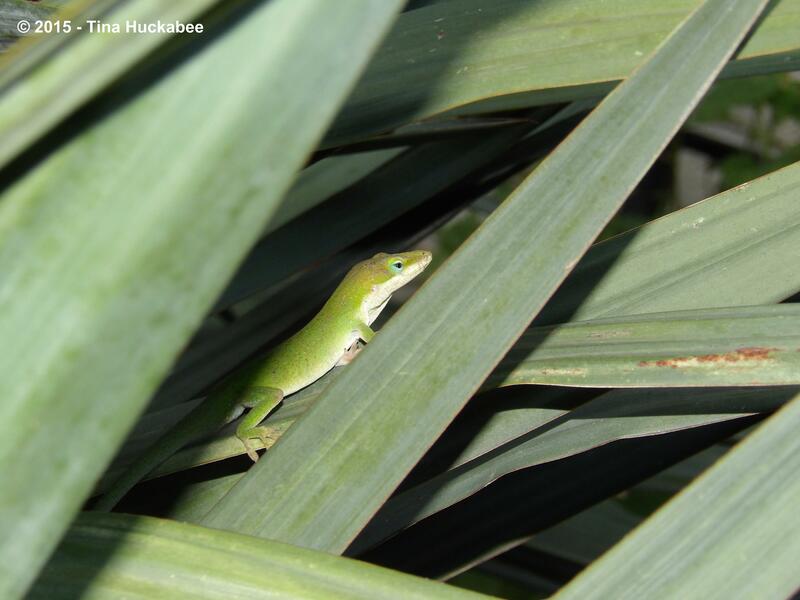 The anoles are the most charming little garden buddies–we have many of them! Maybe you can post for Wildlife Wednesday? I’d love to see what wild critters you have in your garden. I will try to join in. 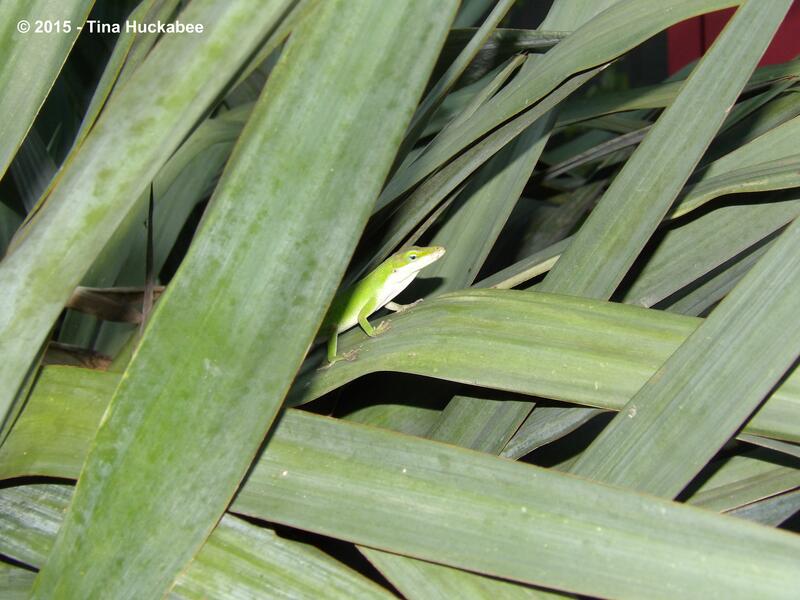 If only the wildlife would sit nicely and pose for their portraits like your cute little anole. They seem to enjoy posing for pics! Awe, birds are cute, but they rarely stay still and are not as easily photographed. Maybe you can catch a shot of the dog chasing a squirrel?? Wow – has it been a year already? Time flies when you’re wild! Lol! It has been a year and I agree, it’s flown by. I think that means we’re getting old…. I’ll be back to help you celebrate your one year of excellent hosting and wildlife posts. Good reminder since I was thinking next Wednesday! Great! I’ve enjoyed all of your posts to WildWed and look forward to more of the same. Geez, you must have some good eyesight! Sometimes. Sometimes, not so much! Happy anniversary to Wildlife Wednesday! Something new just moved onto our property last week. Details to follow ….